Though NASA officials have said nothing on the subject, astronomy today is on the edge of a critical shift in perception—a revolution that could redefine our view of the heavens. Proponents of the “Electric Universe” say that a revolution in the sciences is inescapable, and they believe the failure of modern comet theory could be the tipping point. The high-energy events exhibited by comets require a new understanding of what makes a comet work, and the answer to the mystery of comets will invariably affect all of the space sciences. For starters, a list of the enigmas would have to include these surprises: comet x-rays, a coma several times the size of the Sun glowing in ultraviolet light, strong electrical and turbulent magnetic fields, million degree coma “temperatures”, supersonic jets, collimation of these jets over great distances, coherent and filamentary comet tails spanning up to a hundred million miles and more, explosive outbursts of dust hundreds of millions of miles from the Sun, the “inexplicable” break up and complete disintegration of comet nuclei far from the Sun, sharply etched surface relief, bright surface patches (camera saturation, most obvious in the case of Tempel 1), and “impossibly” fine comet dust. Intense energetic activity has, one discovery at a time, shocked astronomers. But in fact every surprise points in the same direction. 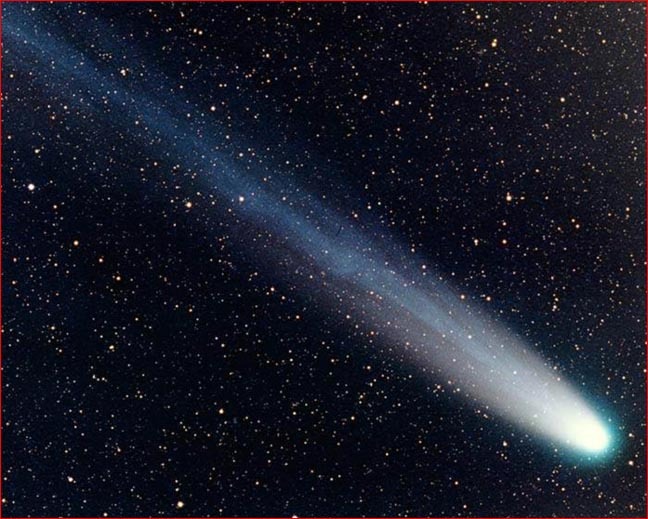 For several years the electrical theorists have predicted that the fatal blow to modern comet mythology will come from the absence of sufficient water ice or other ices on a comet nucleus to produce the jets and coma. This prediction has already been fulfilled, but the message has yet to register. After repeated failures to find any water on comet surfaces, NASA spokesmen celebrated the “success” of the Deep Impact mission when they thought they had found, on the surface of Comet Tempel 1, a minuscule .005 of the water required by theory to explain the signals associated with water in the coma. When findings repeatedly discredit an accepted model in the sciences, it’s time to consider the findings from a different vantage point –to look for a pattern that has been missed. For the electrical theorists, the pattern is too obvious to be missed. The unexplained features are predictable effects of an electric discharge, and nothing that an electrical expert would look for is missing from NASA’s discoveries. It is also inconceivable that the collapse of comet theory could stand as an isolated event in astronomy. The physical universe is not a bundle of contradictions, even if modern “explanations” are. A comet discharging electrically as it approaches the Sun means simply that the Sun is the focus of electrical activity strong enough to produce the observed cometary phenomena. That includes the visible flare-up of comets while in “deep freeze” beyond the orbit of Saturn. The implication, according to Electric Universe advocates, is that sufficient electrical energy is available from the galaxy to power the Sun. A tiny charged comet occasionally taps into that solar circuit to produce a visible display. But in the past 75 years, most astronomers never entertained electricity as a source of energy in the cosmos – despite its usefulness to mankind. A Sun energized electrically will be much more of a “shock to the system” than an electric comet. For decades we’ve been assured that the science of the Sun is well established—a few i’s to dot, a few t’s to cross, and little to fret about. But those expressing this confidence had no training in electrical discharges in thin plasma. Instead they treated the solar wind merely as a wind, with a weak magnetic field thrown in. They did not see that the magnetic field and the reaction of a comet to the solar wind, when interpreted as electrical phenomena, answer the greatest mysteries of the Sun. Why, for example, do the charged particles of the solar wind defy gravity and continue to accelerate as they move away from the Sun, out past the planets? And how is it that the temperature of the Sun leaps from a few thousand degrees at the surface to a million degrees above the surface, at the corona? These questions are easy to explain if the energy is coming from outside the Sun. In the electrical model, the Sun (like all stars) is an anode, or positively charged focus within a galactic discharge. The Sun's electrical influence extends out to a plasma sheath, incorrectly called the heliopause, far beyond the orbit of Pluto. The electrical acceleration of the solar wind and the ion tail of a comet, therefore, is exactly what should happen, and there is no other credible explanation of this phenomenon. Those who are not trained in plasma discharge behavior are unaware that throughout almost the entire volume of space within the Sun's plasma sheath, the electric field remains weak but constant in strength, representing an immense electric potential across the vast distance to the boundary of the Sun’s electrical domain. It is not until charged particles are very close to the Sun that they experience strong electric fields in 'double layers' that heat the solar corona and form the global electrical storm we call a star. The electrical theorists Wallace Thornhill and Don Scott have enumerated at least two dozen enigmas of solar behavior that immediately disappear when you grant the same electric field that is implied by the electric comet. And what of planetary science? From an electrical vantage point, the electric arcs that have carved the surfaces of comets can be compared to those that, in an earlier phase of solar system history, etched the surfaces of planets and moons. The astronomer's bafflement at recent close-up images of comets is just like their response to enigmatic surface features of larger rocky bodies in the solar system—from the tortured surfaces of Venus and Mars to the alien worlds of Jupiter and Saturn. The sharply sculpted nuclei of comets reveal the same features we see on rocky planets and moons—craters, rilles, spires, mountains, ridges, mesas rising from flat valley floors and etched relief—just the opposite of what astronomers had expected. Of course, the prevailing model of comets, envisioning a sublimating chunk of dirty ice, does not allow that similar features could have similar causes, though that is precisely the message of the electric theorists. To see planetary history in the terms implied by the electrical interpretation, it will be essential that science free itself from the modern fable of the “uneventful solar system”—planets moving on unchanging orbits for billions of years. The fable originated as a theoretical conjecture long before the space age began. Geological models of the 1950's did not envision the pictures of planetary violence returned from space, because they imagined isolated bodies moving like undisturbed clockwork for aeons. More than any other discovery of the space age, the electric comet will force a reconsideration of solar system evolution, with a new appreciation for the role of planetary instability and global catastrophe. What happens to comets happened in the past on a planetary scale. The present stable order of the solar system is new. The picture of the macrocosm will change as well. If the electric force was active in solar system evolution, our little enclave in the Milky Way could hardly be an exception to a rule. Electric events evident in our neighborhood must have countless analogs in deep space. How, then, could popular cosmological theories based on a gravity-driven universe retain their hold on scientific imagination? By following the evidence, one will confront the single most costly theoretical mistake of the twentieth century: the belief that we live in an electrically sterile universe. When that mistake is corrected, the universe will no longer resemble the “big picture” that dominates popular science. And the disappearance of the big bang, black holes, dark matter, dark energy, and neutron stars from the lexicon of astronomy will be a mere beginning.